Grooming for Horse Health is being good to your horse. Grooming and pampering your horse a little, at the right time, can go a long way. While you may or may not indulge your horse in couture inspired pink rugs or decadent faux diamond bridles, you probably still have simple ways you use to repay the love and affection you receive from your horse. And in the UK, while the full impact of the credit crisis has yet to filter down to the man in the street, nearly 720,000 Brits now own or look after a horse, (National Equestrian Survey). Given these numbers it seems our horses are often like our friends and family but sometimes we don’t quite treat them as such. When money is tight and costs are rising horse owners can be put under tremendous financial pressure. Can maintain healthy skin and a glossy coat. Can improve strength in the hair shaft and follicle. And can give the show horse a competitive edge by supporting systemic horse health. Owners often cut corners on the quality of hard feed, by giving smaller hay nets, by turning out for longer on already poached paddocks. Horse owners start fooling themselves into believing that those small grass shoots have the same nutritional value as rich spring grass. Care and attention that will be repaid without condition, as time spent caring for your horse can help lower the stress levels that are known to rise during difficult times. As well as love and affection, provide your horse with proper healthcare, it’s one of the best gifts you can give. Early detection and regular maintenance of injuries and illness can go a long way to building a strong foundation for sound horse health. Just like you, your horse will put a little extra bounce in their step when they’re well-groomed. Helping your horse maintain a healthy internal system can go a long way. Internal health and a properly functioning digestive system is essential in making sure your horse can survive winter weather and recover properly from parasitic worms, injury or illness. Your horse’s skin, being an organ like any other, should never be viewed in isolation. They maintain Joint Health and Mobility in your horse. Support liver cleansing and purifying functions. Maintain normal blood sugar levels. Support digestive and metabolic functions and support vitality and healthy energy levels. In fact, good coat condition and skin health are best achieved by regular grooming and pursuing systemic health. Following a healthy diet and exercise routine helps to support your horses body as a whole and can have excellent results on skin health if adhered to regularly. Remember that anything that affects your horse’s liver will definitely affect the appearance of the skin and coat, as the liver and skin are closely linked in efforts to purify and cleanse your horse’s body. Natural remedies can be very effective in helping to support your horse’s system and the natural process of elimination and purification. Providing a healthy solution to waste and toxin removal and promoting optimum bodily function. 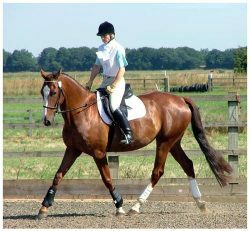 Herbal and homeopathic medicine can also help to maintain all-round systemic function and promote health and vigor in horses. So, in this time of financial worry and winter blues be sure to spend time with your horse and lavish plenty of grooming care and attention on them. These elements travel with the blood flow or acyclovir purchase online accumulate within..